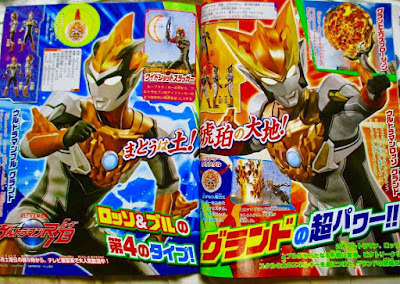 Thanks to this month's issue of Televi-Kun and Televi Magazine and with translations from our Man from Japan, the identity and full name of Ultraman Orb's dark counterpart has been revealed plus we get to see new forms for both of the brothers! 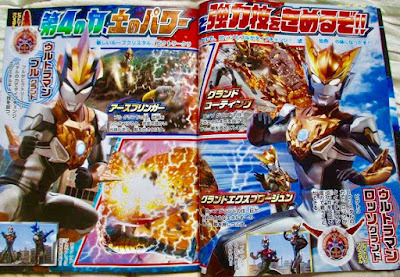 Enter Ultraman Orb Dark Noir Black Schwarz (man, the a very long name to pronounce), a dark and evil version of Ultraman Orb. His real identity is that of none other than the president of Aizentech, Makoto Aizen! 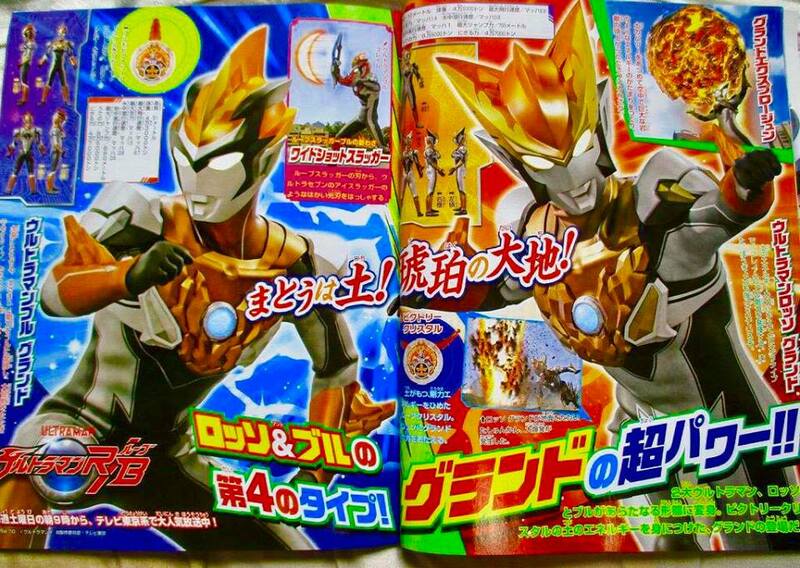 He transforms using the Orb Origin Crystal and he is armed with the Orb Dark Calibur and he will debut on the show's 8th episode. 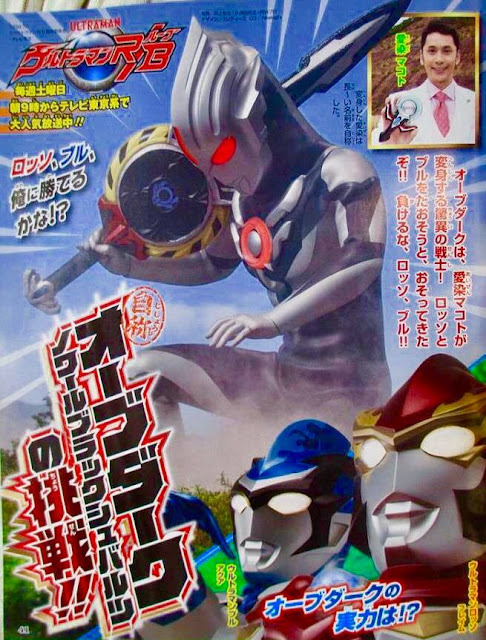 Besides this, a mysterious girl named Saki Mitsurugi (portrayed by Ayane Kinoshita) will appear and she also has an R/B Gyro at her disposal. Also, both of our Ultra siblings will gain access to a new form with the help of the Ultraman Victory Crystal and this forms are called Ultraman Rosso Ground (finisher is Ground Explosion) and Ultraman Blu Ground (finisher is Earth Bringer). For crying out loud Japan. His name is literally Ultraman Orb Dark Black Black Black. I know adding words from other languages makes things sound cool, but there has to be a limit. 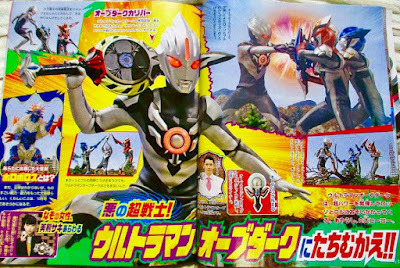 Cool,Ultraman Orb Dark Noir Black Schwarz. Sasuga Orb.